These terms and conditions apply to car park bookings made on the official Manchester Airport website, the official Stansted Airport website, the official East Midlands International Airport website and the official Jet Parks website. When booking a product on these websites you will be contracting with either: Manchester Airport Plc, East Midlands International Airport Limited or Stansted Airport Limited depending on the location of the car park you are booking. Please read these terms and conditions through carefully. 1.1 These terms and conditions ("Terms") apply to all bookings for services made via the four websites noted above, the Manchester Airports Group Customer Contact Centre and our sales agents (you will be provided with a copy of these terms when you order with our sales agents and it is that version of our terms and conditions that applies to your purchase). The official Jet Parks website is owned by Manchester Airport Plc (MA Plc) (Company number 01960988) which is incorporated in England. The registered office is FAO Sylvia Welsh Manchester, Professional Services Limited, PO BOX 532, Town Hall, Manchester, M60 2LA. 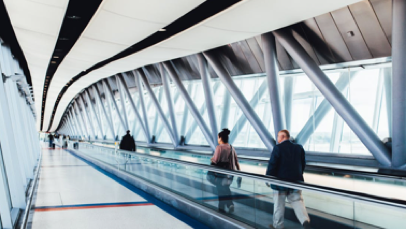 1.4 In these Terms, references to "the Airport" are references to either: Manchester Airport Plc, Stansted Airport Limited and East Midlands International Airport Limited, as applicable depending on which Airport you are purchasing services from. In these Terms "you" and "your" refer to the person who makes a booking for our services and "we" and "us" refers to the applicable Airport, as described above. The contract for car parking is made between you and the Airport. 1.9 We reserve the right if prevented from supplying the car parking for any reason to cancel our contract or provide a suitable alternative parking location at no extra charge. We will attempt to provide as much notice as is possible. Where this is not possible or alternative parking is not required we will cancel the contract and will refund the payment received in respect of the booking to the credit/debit card used for payment but will not be responsible for any other costs, which you may incur as a result. 1.10 We are only supplying you with car parking under the contract and will not be responsible for any costs, compensation or expenses relating to any flights or other services that you may have arranged. You are responsible for ensuring that you allow sufficient time for car parking, transfer to terminal, airport procedures (including but not limited to checking –in and security) and any subsequent flight/travel arrangements. Please refer to section 10 for further detail regarding transfer service and recommended transfer times. 1.11 No person has any authority to vary or alter these Terms and Conditions unless such variation is in writing under the hand of the Company Secretary or a Director of the applicable Airport. 2.1 Bookings can be made by persons aged 18 years or over. 2.2 You are entering into a contract with the relevant Airport for the car parking product at that Airport (or in the vicinity of that Airport) as described on the website for the dates and times confirmed in the online booking process and set out in your booking confirmation. The date of the contract is the date of confirmation of the booking by email. Your booking is only valid for the designated car park. Any additional charges incurred as a result of non-compliance with entry/exit instructions or use of a different car park will not be refunded. 2.3 Bookings must be made at least 1 hour (6 hours for all Meet & Greet bookings) prior to your arrival time at the relevant Airport. All Car Park bookings are subject to availability and the Airport reserves the right to withdraw availability at its entire discretion for a given date. 2.4 When you book car parking via our websites you will be given a unique booking reference number, you will need this if you want to make any changes to your booking. 2.5 You must not resell or transfer any booking (in whole or in part). 2.6 The price you pay is the price accepted and confirmed to you during the online or phone booking process. All prices are in pounds sterling and include Value Added Tax and all applicable taxes. The price you pay is fixed for the duration of your stay in the car park. The booking is valid for a single park entry and exit during the dates you have booked. 2.7 A height restriction of 2M (6 ft. 6 inches) applies to all Meet & Greet car parks and all multi-storey car parks across all Airport sites. 2.8 Where you have booked valet parking you will be asked to provide the details of your return flight, including your return time. If the information you provide is incorrect there may be a delay in returning your vehicle of up to 2 hours. 2.9 Please be aware that our car parks use a number plate recognition service and as such please ensure that your vehicle registration plate number is accurately entered at the point of booking. 3.1 Payment must be made in advance and online. Payment may be made using one of the payment methods set out on the website. We reserve the right not to fulfil your booking if your card is declined for any reason, if the payment card has been used fraudulently or without the cardholder's permission, or if you are under the age of 18. 3.2 When you have completed your booking having provided all of the necessary details, we will send you email confirmation of your booking. You are responsible for supplying a valid email and we cannot be held responsible for non-delivery due to transmission failure or an incorrect address details provided to you. 4.1 Subject to clause 4.2, where you have booked your car parking with us (rather than a sales agent or Ryanair), you can cancel the contract by giving us at least 24 hours’ notice prior to the car park arrival time and date, subject to payment of a cancellation fee (please see below). You will receive email confirmation of the cancellation. Any bookings cancelled within 24 hours of the car park arrival date will not be refunded. 4.2 Where you have booked your car parking through Ryanair, you cannot cancel or make any amendments to your booking. Any bookings made through Ryanair are non-refundable. 4.3 You can cancel/amend your booking by visiting the website you used to book and follow the online instructions or click the links below. If you booked with one of our sales agents please get in touch with them directly. 4.4 In the event of any problems, you may alternatively cancel by phoning our Customer Contact Centre on the free phone numbers stated at paragraph 1.13 above. Lines are open 7 days a week 09:00-17:00. 4.5 Bookings made less than 24 hours before departure cannot be cancelled and are non-refundable. 4.6 Cancellation of bookings at special discounted rates and certain promotional products will be specified on the booking page of our websites and in your booking confirmation email. 4.7 Where you are permitted to cancel a booking a £7.50 administration charge will be levied and deducted from the refunded amount, unless Cancellation Protection insurance has been purchased. Cancellation Protection Insurance is charged at the price advertised when you book your car parking and is non-refundable. 4.8 Customers who include the Cancellation Protection insurance within their booking will not incur the £7.50 administration charge and will be eligible for a full refund of their original booking only (not including any additional fees incurred), should they need to cancel their booking at least 24 hours before the car park arrival time and date. 4.9 No refund will be given for any days booked and left un-used, if you make any other changes after your car park arrival date or if you do not use your booking, unless you have amended/cancelled at least 24 hours prior to the car park arrival time and date. 4.10 If the Airport cancels your booking for a reason within its direct control and not due to an event beyond the Airport’s control (see Section 11 below) then the Airport will refund the amount it has received from your pre-booking to you on the card on which payment was made. 4.11 Where you want to reduce the number of days in your car parking booking, the Airport must receive notice of your change to your booking at least 24 hours before the car park arrival date and time. 4.12 If you do not give the required advance notice as stated, no refund will be given or if the change requires additional parking days to those indicated in your booking you will be required to pay the full daily rate from time to time of the relevant car park. 5.1 You must enter/exit the car park following the instructions provided to you in your e-mail confirmation and on the car park booking confirmation page. 5.2 Please be aware that our car parks use a number plate recognition service and as such upon entry the barrier will read your vehicle registration plate and the barrier will automatically raise to allow entry. 5.3 Upon entry at Stansted Airport the barrier will read your vehicle registration plate and automatically print a validated ticket for you. Please take this ticket and the barrier will raise to allow entry. This ticket is pre-paid and therefore must be kept safe, as customers will be required to insert the ticket into the exit barrier in order to exit the car park. 5.4 Customers who have pre-booked their parking at Manchester Airport or East Midlands Airport will not receive or require a token. Tokens are for use by passengers who have turned up and parked with no prior booking. Please see the terms and conditions displayed on entry to the car park. 5.5 If your number plate is not recognised or is not consistent with the number plate for which you have booked, you will need to press the barrier ‘Assistance’ button. Please do not press for a new ticket to be issued if at Stansted Airport and please do not press for a token to be issued if at Manchester Airport or East Midlands Airport. If a ticket/token is taken then a daily charge will be incurred at the listed car park turn up tariff rate upon exit of the car park. 5.6 Your booking is only valid for your designated car park on the specified dates. Any additional car park charges incurred as a result of non-compliance with entry/exit instructions or use of a different car park will be payable upon exit of the car park and will not be refunded. 6.1 You acknowledge that you enter into this contract with us on the basis of these Terms. You agree to indemnify us for any losses we suffer in respect of any breach of these Terms, including but not limited to overstay charges and charges for breaching the car park terms including leaving the car park without paying any unpaid charges which are due for the car. 6.2 Car parks are priced per calendar day. If a customer stays up to 6 hours beyond the exit time specified during the booking process you will not be charged an additional fee. If however, you leave the car park more than 6 hours after the exit time specified at time of booking you will be charged an ‘Overstay’ charge. 6.3 The overstay charge must be paid in full before you leave the car park. Please note that this extra charge applies irrespective of the reason for your delayed return to the car park, unless your delayed return is caused by the negligence of the Airport. 6.4 The overstay charge referenced at Clauses 6.2 and 6.3 above do not apply to the Short Stay 1 Drop-off or Pick-Up car parking product at East Midlands Airport. Where you have booked to use Short Stay 1 Drop-off or Pick-Up at East Midlands Airport there will be no 6 hour grace period; your booking will expire at the exit time specified during the booking process. For any additional time spent in the Short Stay car park, you will be charged at the standard car park turn-up tariffs (as advertised on the entrance to the car park, which may change from time to time). 6.5 Additionally, if you have parked in a designated ‘Premium’ car parking space at Manchester or East Midlands Airport, or a ‘Priority’ car parking space at Stansted Airport, without booking a premium/priority car parking product you will be charged a fee of £20 per day. Premium/priority parking is clearly sign posted within the car parks. 6.6 If you have booked meet & greet, valet parking or meet & greet plus (all referred to as M&G in these T&Cs), when at the M&G reception area, the terminal forecourt or in the car park, you must drive carefully and responsibly. You must also ensure that any children and animals are properly supervised and are at all times accompanied when they are using the car park/at the reception area. Please take care to be aware of all vehicles in motion within the car park/ M&G reception are. 6.7 If you have booked M&G parking you should only arrive in the hour indicated when you booked and stated in your booking confirmation. If you arrive at a different time the Airport reserves the right to refuse to provide you with the M&G service and car parking. The Airport reserves the right to search your vehicle for security reasons. remove your possessions and ensure that any possessions you decide to leave in your vehicle are placed in a locked boot and are not on display. 6.9 The Airport is not responsible for any loss or damage whatsoever occurring to your vehicle or possessions within it resulting from your failure to do these things. The Airport and its subcontractors do not accept any valuables or other articles for safe custody. 6.10 Where CCTV cameras are installed in our car parks they are used to assist in the proper running of the car park. The CCTV cameras may also act as a deterrent to criminal activity. We do not make any representation as to the extent of coverage provided by the cameras and no guarantee is given as to the security of your vehicle in car parks where CCTV is installed. If you believe that criminal damage has been caused to your vehicle/property you should report this to the police. In the event that there is any footage available, the Airport branch of the local Police force has full access to all of our CCTV and the Airport would fully cooperate with any police investigation as needed. 6.11 While the Airport uses reasonable endeavors to ensure that the car parks are secure, the Airport does not guarantee that they are a secure environment. 6.12 Vehicles must be parked, wholly, in the appropriate marked bays only. Additionally, vehicles must be parked in a manner so as not to cause any obstruction to other car park users. 6.13 You must comply with all directional signage and other instructions when in the car park/M&G reception area. 6.14 For M&G bookings only, you should ensure that you leave with the Airport’s employees or subcontractors only your ignition key, the key to your driver’s door and the key for any security or immobilisation device fitted to your vehicle. The Airport and its subcontractors accept no liability for any loss or damage suffered by you where you leave other keys with us. In some instances you may be given a ticket to allow you to pick up your keys from our self-service machines. It is your responsibility to keep this ticket safe and the Airport is not responsible for any loss or damage you suffer as a consequence of you losing that ticket, including a third party using your ticket to collect your keys and car. 6.15 For M&G bookings only, by leaving your vehicle with the Airport’s employees or subcontractors, you warrant that the vehicle is and at all times while in our custody shall be roadworthy, has a valid MOT, is appropriately taxed and is properly insured so as to comply with all relevant legislation in the United Kingdom. You hereby indemnify the Airport and its subcontractors in respect of all claims, losses, damages, costs and expenses suffered by the Airport or its subcontractors arising from any breach of this warranty. You accept liability for all harm suffered by third parties as a result of any breach of this warranty. 6.16 We reserve the right to refuse the admission of any vehicle to the car park for any reason whatsoever and may remove from the car park or move within the car park any vehicle by whatever method we consider reasonable. 6.17 We reserve the right to move vehicles within the car park, by driving or otherwise, to such extent as is reasonably necessary for the purposes of safety to persons or property to avoid obstruction or for the more efficient arrangement of its parking facilities. 6.18 We additionally reserve the right, where the car park has to be closed either permanently or temporarily in whole or in part or has to be evacuated in cases of emergency, to remove any vehicle at any time to any other reasonably convenient car park within the control of the Airport or otherwise as may be expedient. 6.19 No vehicle shall be towed into the car park and no work on or cleaning of vehicles by users or their agents is permitted in the car park. 6.20 No activity in connection with the selling, hiring or other disposal of vehicles shall be carried out in the car park. 6.21 If your vehicle battery is found to have inadequate charge during the period it is held in our M&G storage car park, where available, one of our trained staff may recharge your battery so that your vehicle can be made ready for collection upon your return. immediately inform a member of the M&G staff. A on duty M&G Manager/supervisor will then document the incident. 7.2 M&G vehicle claims cannot be considered unless they are reported and documented prior to departure from the car park. We accept no liability for loss or damage, including any damage to your vehicles paintwork (including where caused by a third-party) unless proved to be caused by our negligence. 7.3 For M&G services only - the Airport is responsible for ensuring that your car is driven in accordance with the law, and the Airport and its subcontractors are insured for any loss or damage to your vehicle which occurs as a result of the negligent driving of the Airport’s employees and subcontractors who are providing the M&G parking service. The Airport is not liable to you if your car is driven in accordance with the law, but in violation of any insurance ‘black box’ requirements or raises alerts on onboard computers and telematic systems, which are over and above the standard legislative requirements. 7.4 For M&G services only – Please be aware that reasonable adjustments may be made to your vehicle settings such as seat position, mirrors adjustments to allow our M&G drivers to move your vehicle to and from the storage locations. 7.5 We do not accept liability for any damage to your vehicle (whether caused accidentally or by way of vandalism) while the vehicle is in the short stay, mid stay, long stay, multi storey or jet parks car parks. 7.6 If you wish to register a complaint about the service that you have received please use our online feedback process based on the Airport in which your car park booking was made, detailed within paragraph 1.13 above. 7.7 If you damage another customer’s vehicle you should report the matter to us giving the registration numbers of both vehicles. You must also notify the owner of the other vehicle by leaving a note on the windscreen of their vehicle providing your vehicle and contact details and any other details that are relevant to the incident. the reason for the delay in collection plus details of the expected (revised) collection date. 8.2 We reserve the right to engage and/or permit a lawful authority to remove (or where we are unable to identify the current legal registered owner of the vehicle, to take steps ourselves to remove) and to dispose of or sell your vehicle. 8.3 Before disposing or selling an abandoned vehicle we will refer the matter to the appropriate authorities, which may include the local council, police and the DVLA. We will also affix a notice to the vehicle at least 7 days before the date on which we propose to remove the vehicle. 8.4 Where we sell an abandoned vehicle at auction, the proceeds of sale will be applied in and towards satisfaction of all sums owing to the Airport. Any balance of these sales proceeds remaining after satisfaction of such sums shall be held by us on behalf of the registered owner of the vehicle and paid over on proof of entitlement. 9.1 In using the car park, you agree to abide by any additional terms that may be displayed in or around the car park. If on entry to the car park you are not willing to abide by the additional terms then please leave the car park immediately. that you comply with all signs in the car park. spending excessive time (as we may determine) in your vehicle in the car park. This includes sleeping in your vehicle. 9.4 The use of this car park may be regulated by traffic orders or byelaws under which a charge will be payable for failing to comply with these terms and conditions or the requirements of the relevant order or byelaw. 9.5 If the equipment in the car park is damaged by you, your vehicle or the passengers in the vehicle then, except where the damage arises from our negligence, we will seek to recover the cost of that repair and associated administration costs from you. 9.6 If you park your vehicle either in a parking bay designated for a specific purpose when you are not entitled to do so (e.g. parking in a space for the disabled without an appropriate disability badge displayed or an entitlement to use that space) or if you park outside of a marked bay you will the Airport reserves the right to charge you a fine of £20 per day (or such other fine as set out on the terms and conditions on entry to the car park). We may require you to pay this fine on exit from the car park. 9.7If you breach these terms and conditions and incur any additional charges, such as overstay charges or charges for parking in the incorrect parking bay, we may use a third party to collect such charges from you where you do not pay such charges on leaving the car park. Our third party will send you a notice of any unpaid charges along with notice of how long you have to pay those charges and any administrative fees payable. If you do not pay the charges within the relevant timeframe, you will be issued with a further notice which will set out any further charges payable by you as result of your failure to pay. These charges will vary depending on what your initial charge is payable for, with a minimum charge of £100 payable where you have overstayed for under 24 hours. We recommend you carefully read any such notices setting out the charges and payment dates, discounts may be stated for prompt payment. 10.1 Please be aware that you need to leave an appropriate amount of time to reach the terminal building from the car park using the transfer service. Guides to the estimated transfer time (in normal traffic conditions) and the frequency of buses are set out on the websites, but in addition to this you should ensure that you factor in time to find a space, get your luggage out of the car, lock the car and walk to the relevant bus stop. The Airport does not accept responsibility if you miss your flight or your airline check-in has closed because you have not left enough time to get into the car park, and then from the car park to the terminal. 10.2 Where applicable, please take care to ensure that you board the correct bus as not all buses call at all car parks. 10.3 The estimated frequency of the buses and the estimated journey time to the terminal (in normal traffic conditions) is set out on the website. 10.4 Please ensure that you remember to take all of your luggage off the bus when you arrive at the terminal. The Airport does not accept responsibility if you miss your flight or your airline check-in has closed because you have to recover luggage which you have left on the bus. 10.5 The Airport does not accept liability for increased duration of transfer times from car park to the terminal building which are caused by exceptional traffic volumes, road works or accidents, mechanical breakdown or failure, adverse weather conditions or staff shortages (howsoever caused). 11.1 We do not accept liability for any failure by us to perform our obligations due to an event beyond our reasonable control. A non-exhaustive list of such events includes war or threat of war, riots, civil strife, terrorist threats or activity, industrial disputes, natural and nuclear disaster, fire, adverse weather conditions, volcanic eruption or ash cloud, government regulations, closure or congestion of airports, and / or cancellation or changes of schedules by airlines. 11.2 Except as expressly stated in these Terms, we shall not be obliged to either refund any pre-payment by you, or make any other change to your booking in the event that you wish to amend or cancel your booking due to an event of the kind listed in paragraph 11.1. 12.1 The Airport will act with reasonable skill and care when providing services to you. 12.2 Nothing in these Terms limits our liability in the case of death or personal injury caused by our negligence, or in the case of fraud. 12.3 Our liability to you for the provision of car parking shall be limited to £50,000. for theft of or from your vehicle unless you have entrusted the keys of the car to the Airport and then only provided that the keys have been used in order to carry out the theft or where such damage or theft is caused by the negligence of the Airport or its agents or employees, and then only to the extent that the Airport’s negligence has caused or contributed to the relevant damage or theft. 12.5 You should be aware that it is impossible to exclude persons misbehaving from our car parks and that we cannot therefore guarantee the security of your vehicle or its contents. Accordingly the Airport, its servants and agents will not accept liability in respect of any loss, destruction, theft of or from, removal of or damage to the vehicle.